It's a year since I published my post on how new flexible ways of working had led to a more relaxed attitude to work clothes. (See link below). Certainly, athleisure has become my daily work uniform. In fact, I feel "dressed up" when I change from my yoga pants into denim jeans, especially black jeans! This season, denim comes in all forms - jeans, jackets, shirts, shorts. There's double denim, distressed denim, embroidered denim, embolished denim..... Looking ahead to Autumn, the vibes are that neat, very dark denim pieces might be a key trend. Raf Simon's first collection for Calvin Klein featured a dark denim shirt tucked into dark denim jeans over a turtle neck. With Raf Simon now at the helm, Calvin Klein is definitely a brand to watch. For now, what I need is a new pair of jeans. These Feather Soft Low-rise Jeggings in dark denim blue/wash from H&M &Denim really are feather light and soft and they fit beautifully. They have fake front pockets and real pockets at the back. Back now to athleisure, some of my well-worn pieces are beginning to look a little jaded in the bright Spring sunlight so I've also treated myself to new yoga pants. 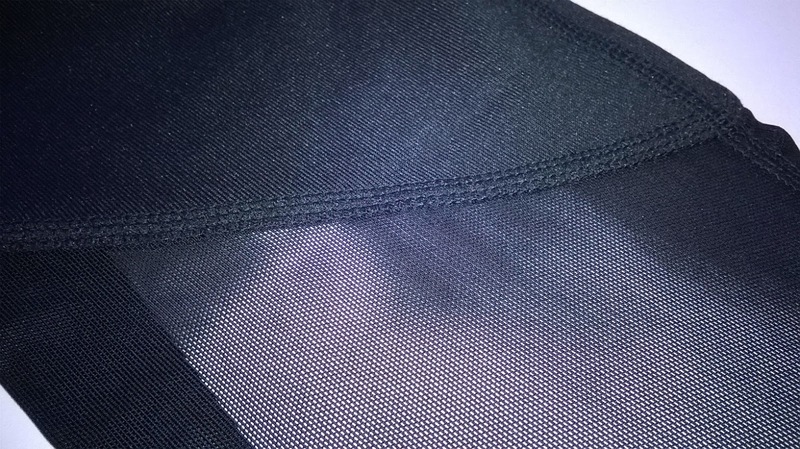 These H&M Yoga Tights in black have a shape waist with a mesh key pocket inside and attractive mesh panels below the knees. Of course, there isn't a contest between denim and athleisure. Denim can be teamed very well with sports clothes - take for example that easy, favourite outfit, sweatshirt and jeans. For me, both denim and athleisure pieces are now vital basics in my wardrobe.